Welsh handmade vegan chocolate from Cardiff. 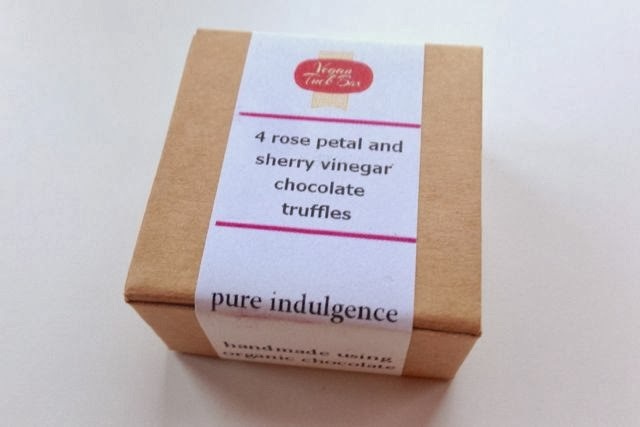 The range of chocolates available from producer Hipo Hyfryd is not your run of the mill stuff, but rather the unusual and unique. 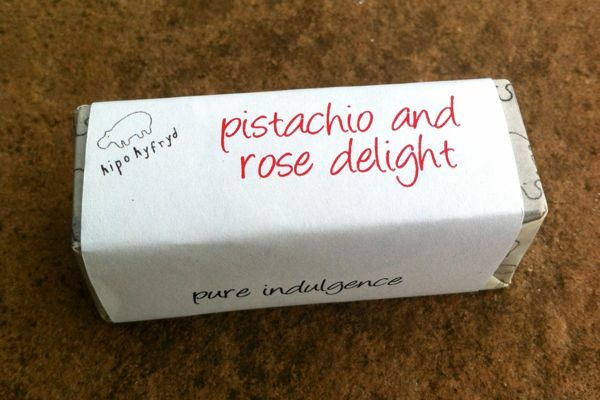 Rose and pistachio are normally found together in turkish delight, but here they're paired as a sort of praline filling.